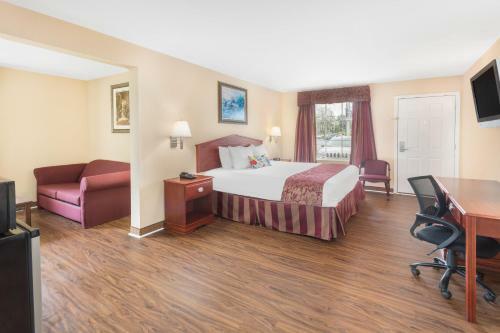 Address 150 Plantation Inn Dr. 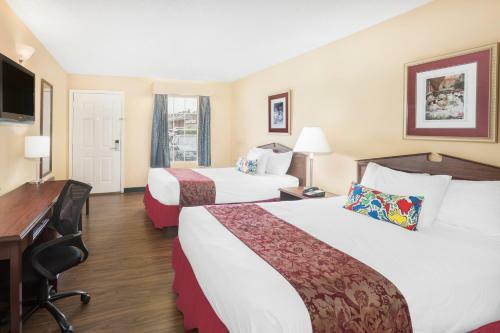 Rooms from $47.99 per night. Description This Macon, Georgia hotel has an outdoor pool, non-smoking guest rooms and free breakfast. This hotel is also pet friendly. 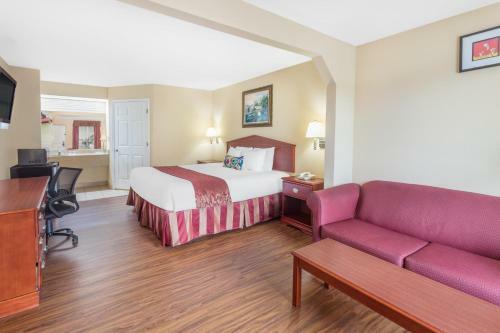 Our guests can expect free parking complimentary deluxe continental breakfast and free Wi-Fi at the pet-friendly Baymont Inn & Suites - Macon. 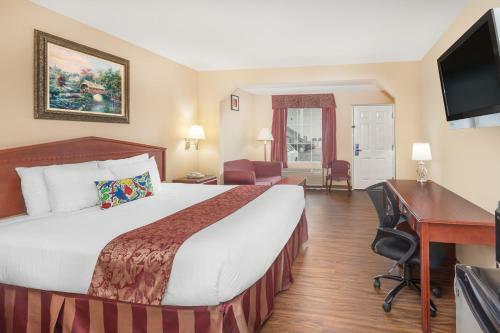 The Baymont Inn & Suites has 59 rooms occupying two floors. 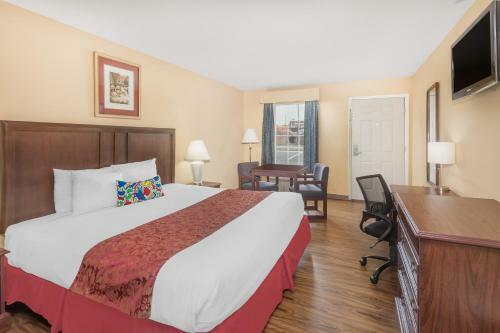 All accommodations feature free local calls and Wi-Fi satellite cable TVs with in-room movies refrigerators microwaves coffeemakers free newspapers and desks with lamps. 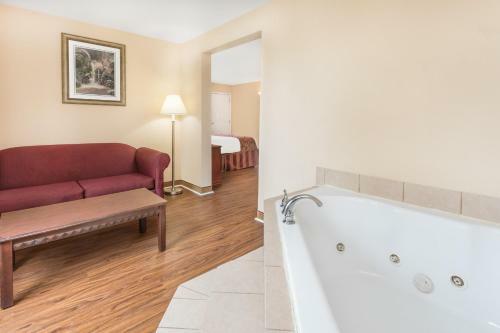 Select suites include jetted tubs. 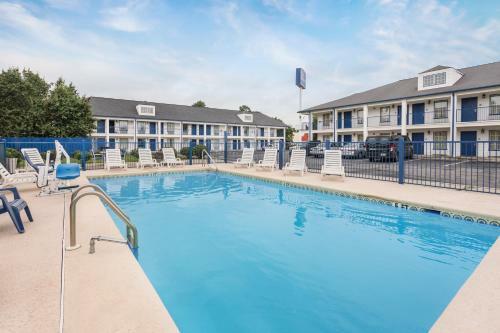 The hotel has a seasonal outdoor pool business center fitness room meeting/banquet facilities guest laundromat and 24-hour front desk. 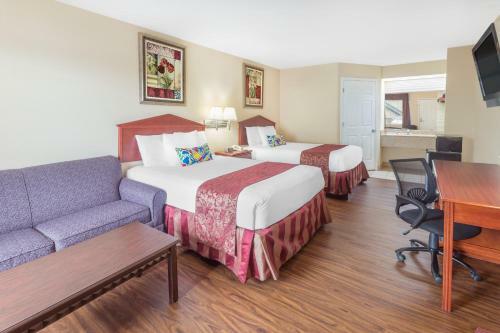 In the morning guests can fuel up for the day with the complimentary deluxe continental breakfast. Express check-out is available for further convenience. For those who drove to town parking is provided free of charge. Pets are welcome to stay as well for an additional fee. 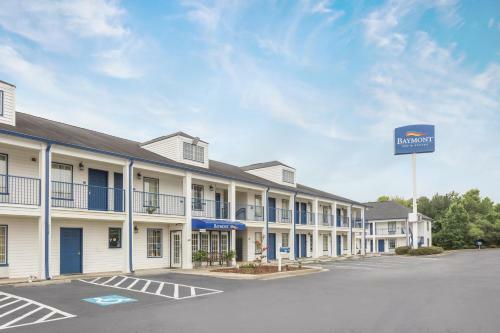 Situated off I-75 and I-475 the Baymont Inn & Suites is located near numerous shops restaurants and universities. Within 10 miles of the hotel guests will find Historic Douglas Theater Hay House Georgia Music Hall of Fame and Georgia Sports Hall of Fame. Middle Georgia Regional Airport is 16 miles away and Hartsfield-Jackson Atlanta International Airport is 73 miles. 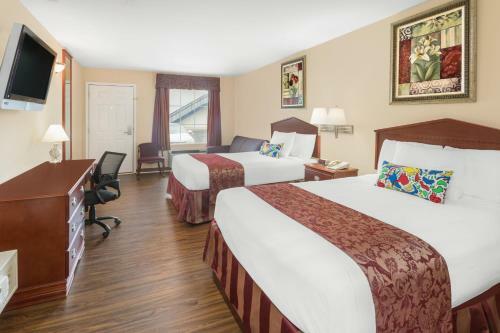 Add Baymont By Wyndham Macon I-475 to your free online travel itinerary.